1. We are a Christian club and we ask that all language and conduct exemplify a Christian attitude, honesty, and integrity. 2. No alcoholic beverages allowed on tournament day(s) or at any Still Waters Bass Club function or activity. 3. Each participant agrees that, by signing the membership form, the decisions of the tournament director or club official are final. 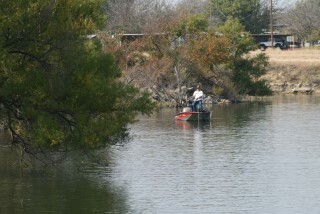 Still Waters Bass Club reserves the right to adjust tournament times, dates, and schedules for just cause. Live Well checks can be conducted at the discretion of the tournament director. The tournament director makes decisions on canceling or postponing a tournament. 4. All state, federal, and local laws must be obeyed and a life jacket must be worn when the boat is on plane. 5. Yearly dues for Still Waters Bass Club are $35 and include immediate family. 6. Tournament Lake will be chosen by vote of the membership, at the meeting, prior to tournament date. The tournament director will set times for the tournament. Weigh-in will start at designated time and line will close 10 minutes after weigh-in starts. 7. The tournament lake will be off-limits Monday through Friday the week prior to tournament. A participant will be allowed to fish one (1) day of your choosing in these days. 8. Trolling with the combustion engine is not allowed. All fish must be caught by casting artificial lures. No livebait. Pork rind and drift fishing acceptable. You may only fish with one rod at a time during tournament competition. 9. Dead fish can be weighed but a penalty of 16 ounces per fish will be assessed. The tournament director will decide if fish is alive or dead. 10. A stringer shall consist of no more than 3 fish (small mouth, spotted, or largemouth bass) of a minimum of 14 inches in length. Short fish will not be weighed. We practice catch and release. All live bass will be returned to the lake. Per state law, dead fish may not be returned to the lake. In the event of state or local regulations requiring a greater minimum length, state regulations will be followed. Bring no more than three fish to weigh in and designate which fish you are going to weigh for Big Bass. Share-A-Lunker fish may be donated to that program at the angler’s discretion. If a Share-A-Lunker is weighed in at an official weigh station on certified scales, this weight will be accepted for club weights. 11. Violation of any tournament rule, or by-law, could result in disqualification and loss of membership. Any protest must be reported to tournament officials no later than 5 minutes after the close of weigh in and must be submitted in writing. 12. Entry fee must be paid before fishing. All fees will be paid to tournament director or official before the start of the tournament by the individual(s) fishing in the tournament. Late arrivals must check in with another member before fishing and can pay at weigh-in. Check-in will be held at the official weigh-in/launch ramp. Trailering is allowed. 13. Entry fee for tournament is $25 with $3 going to the club, $5 to the Big Fish pot, and the remaining to the place finishers. Tournament payback as follows: Big Fish will pay money in Big Fish pot. 1st place =50%, 2nd =30%, and 3rd = 20% of the remaining entry money. With 40 or more paid entries in tournament, places will be paid on a 1 in 10 payout and percentages will be adjusted accordingly. Also with 40 or more paid entries, Big Fish pot will be split 70% to biggest bass and 30% to second big bass. In addition, 13th place will be awarded $40. 14. Any person joining at the ramp after the February tournament will only be able to compete for the Big Bass Pot (for that tournament) and their entry fee will only be $5. However, they will be able to weigh in a 3 fish stringer to go towards year-end point totals. If mailing in membership or joining outside of the regular meeting, membership form must be submitted and/or postmarked before the date of the meeting for that month (Forms available on website). 15. All family members, who wish to participate in the tournament, must pay full entry fee. 16. Points will be awarded as 1 point per ounce of weighed in fish. Weight will be determined in pounds and hundredths (example 2.15 pounds) for tournament standings. Points will also be awarded for tournament (25 points) and meeting (25 points) attendance. This will accumulate for year-end scoring. 17. If a tournament is cancelled at the ramp, and you have attended that tournament, you will be awarded 25 points for tournament attendance. 18. Guests will only be allowed to fish for the Big Fish pot and their entry fee is only $5. Also, guest must fish in the same boat with the member, whether it is member’s boat or guest’s boat. 19. We will only fish a given lake twice within a tournament season. At the discretion of the tournament director this rule may be superseded for just cause. The Tournament Director can present a motion at the meeting to shorten the hours of the tournament (for example: summer tournaments) and this will be voted on by the membership in attendance. 20. Any monies not awarded will go to Still Waters Bass Club. Classic 350 – To qualify for this special tournament, members must have accumulated 350 or more attendance points - 25 points awarded through each meeting attendance and 25 points through each tournament attendance. (Missing 8 events will get you down to 350 out of 550 possible points). The tournament is held the following tournament season. 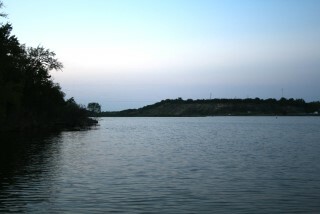 The officers of the club will nominate lakes and the qualifiers will vote on the lake that the tournament will be held. Changes in rules for 2019 are highlighted in red.